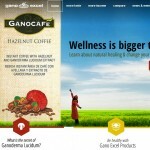 Gano Excel, by Leow Soon Seng and found at ganoexcel.us, is a specialty gourmet coffee company with a Multi-Level Marketing business model used to recruit people to recruit others. Oh, and incidentally, they sell coffee, too. We are only going to lightly touch on the Gano Excel product as it is our focus priority to focus mainly on the network marketing aspect of any company that employs the mlm scheme to grow its numbers. The coffee product Gano Excel sells separates itself from other coffees by mixing a mushroom called ganoderma into the blend. This mushroom is claimed to have medicinal qualities with only slight side effects among those with allergies found by cancer research facilities and university studies. It is diluted in the Gano Excel blend as to make it safe to ingest, but you might want to consult your physician just to be safe, and that ends the section about the actual product. It has been well documented that joining the MLM arm of Gano Excel will not result in any substantial long term earnings, and it makes sense, as almost all those who try to make it in that industry fail at it fairly quickly. The law of averages has been factored in as 99% failure rate with product based MLMs, and Gano Excel is no different. Most multi level marketing companies are, at their core, a method of making legal ways to launder investments through a means of providing products for their pyramid styled business opportunities. This means that companies like Gano Excel have you concentrate on recruiting as many people as possible to your downline that must recruit others in order for you to make money with it. At the same time, Gano Excel will have you and your recruits buy their products continuously as everybody recruits others endlessly. How they do this is with the top earners luring anybody they can into believing they will achieve the same results as them through embellished claims of income growth and often false advertising about the products. So those who fall for the scheme spend more than they gain and eventually quit, thus the reason for recruiting more “suckers” into the business who will also eventually drop out in disillusionment and frustration. Incidentally, Gano Excel has been admonished of serious violation for misbranding and exaggeration of claims of medicinal treatment of various illnesses by the FDA. One CEO of Gano Excel has been sued by international governments for fraudulent misappropriation of funds and criminal conspiracy against the public. At least once in their existence, Gano Excel has shut down operations in the US and Canada for reasons I won’t get into here. When you take into account these and other issues including countless complaints and aggravations lodged publicly by unhappy members you can see that Gano Excel has its share of skeletons. Gano Excel does have an autoship program that takes money from your bank account to send you more every month just like other coffee mlm’s, and you will be locked in to buy their product in order for your upline to keep making money. If you were lucky enough to be a part of Gano Excel at the very top in the beginning then you will do very well on any mlm, but by now you will most likely be at the very lean end of it. Another red flag to watch out for is right on their site in the Comp Plan page which tells you nothing just like on their Compare compensation plan page. The cost of the actual product can be as high as up to 3 or 4 times the price of some coffee found in grocery stores, and it may or may not taste good and might or might not possibly be good for you but that is not our concern. Even though it is not an actual scam, our issues with Gano Excel are the unsavory practices and the multi-level marketing approach in particular and for that reason we will not be recommending Gano Excel as a way of earning a living. I wish you would have giving more details why not work for Gano Excel, I’m a consumer of their products, my parent raise me with value, moral standar never got involved in. MLM until I use Gano excel product, I’m a diabetic, Gano excel have help me controlling my sugar level with their Ganoderma Lucidum products, it’s has help me to the extrem that I have not developed any effects from this “silence death” condition I’m very happy that someone that care introduce me this product. we, first of all, did NOT call Gano a scam. Hope you read the article. What we do not approve of is the MLM based business model as it has a 99% failure rate for too many reasons to mention here. A product may be well and good but if it has a poor marketing arm that’s what we go after, not the product itself unless it’s a really shoddy one.